As members of the Surface Warship Association, SRCMBC members Dave Reith and David McNair-Taylor, showed their models at the SWA Exhibition at Bursledon Brickworks Museum on 13th May 2012. 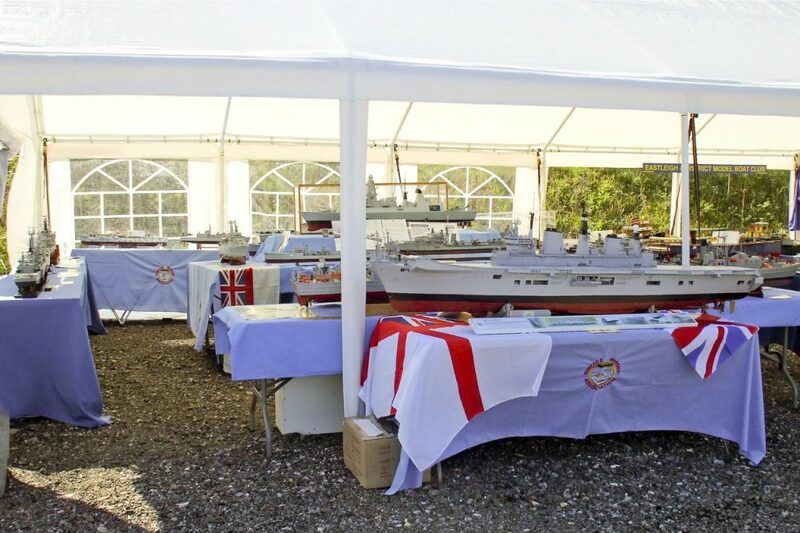 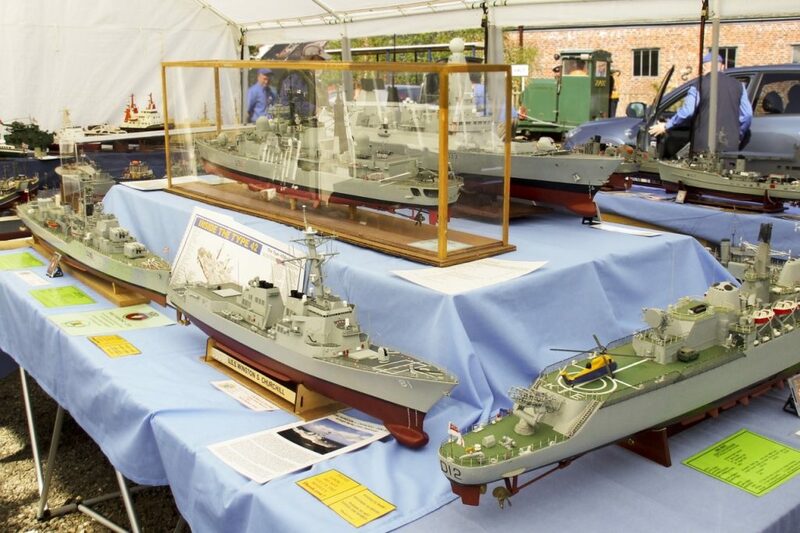 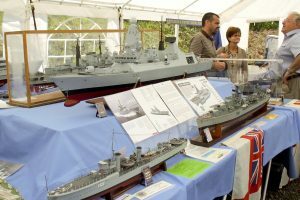 The display was located in a large marquee which was shared with The Eastleigh Model Boat Club and was located adjacent to the main visitor entrance and train ride station. 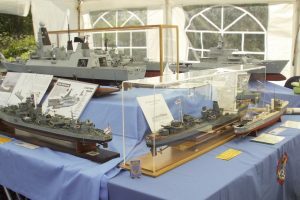 The main part of the display consisted of a walk round exhibition of 9 models at 1/96 scale illustrating destroyer development from HMS Scout of 1916 through to HMS Dauntless of 2012. 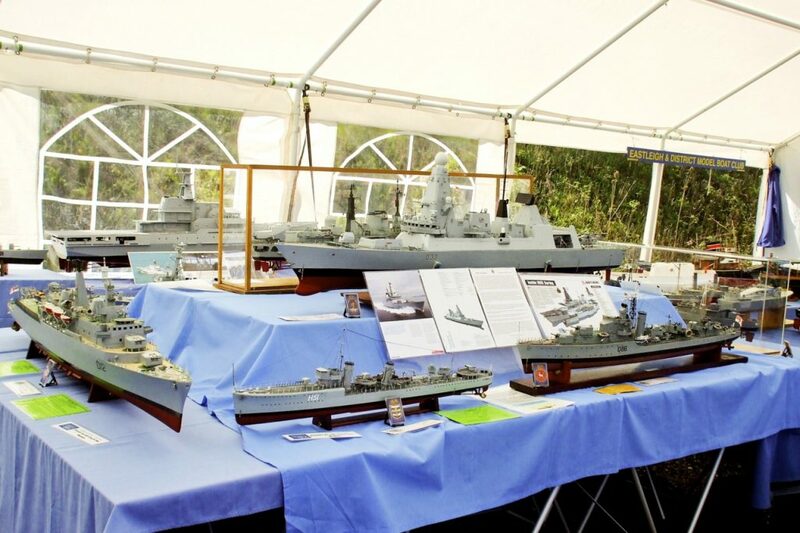 Other exhibits were of Minesweepers, Frigates, the aircraft carrier HMS Illustrious, and Dave Reith’s E boat. 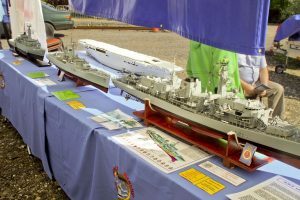 There were also two models under build, the Offshore Patrol Vessel HMS Clyde and the WW2 Carrier HMS Victorious, a total of 22 models in all. 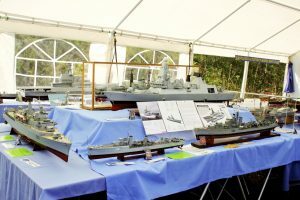 The weather was excellent and the stand had a large number of visitors and received many favourable comments on the standard of models on show.